Dyan Copeman is a Hair and Makeup Artist currently based in Brisbane and working nationwide. (Dy has accommodation in both Sydney and Melbourne and is very open to travelling. Having trained at the prestigious Greasepaint School in London, Dyan has several years experience working in a variety of roles both in the UK and Australia in television, commercials, fashion, music videos, advertising stills, corporate content and online productions. 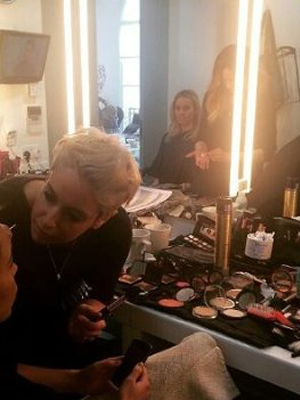 Dyan’s celebrity clients include Chris Hemsworth, Adam Garcia, Kimberley Wyatt, Rod Stewart among others. Dyan is a film and music junkie whose broad range of influences are bound together by a makeup style that is timeless and classic. Clients are impressed by her intuitive understanding of creative briefs and attention to detail.